How you introduce and support the program is very important. You will see the infrastructure that is in place to make the program run smoothly and details about what you are responsible for during the running of a program. A page to view all of the artworks that have been chosen for printing, and links to images submitted in past years of your company programs. How to upload your artworks and tell me if you have a preference about how they are prepared for display. 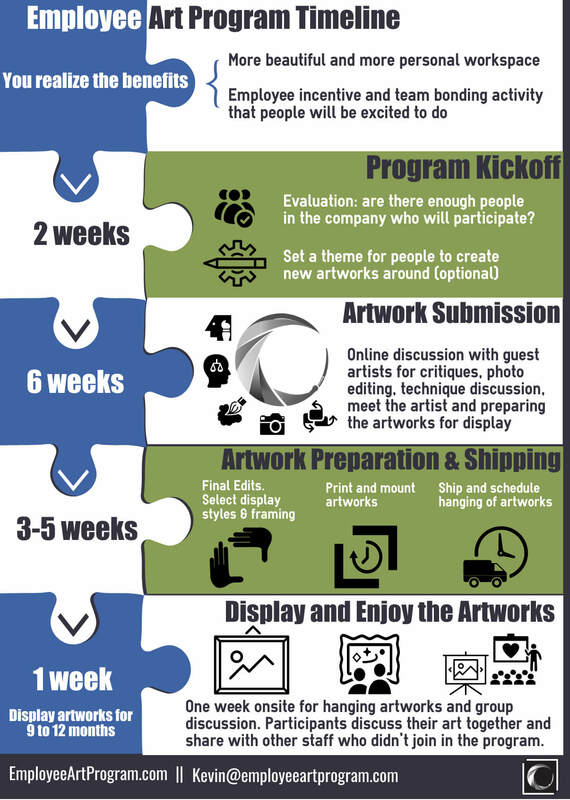 Online form for artists to submit your personal bio and story about the artworks - this will be printed to hang with your photo. Link to the private community for online discussion with guest artists, critiques, photo editing, technique discussion, meet the artist and preparing artworks for display. 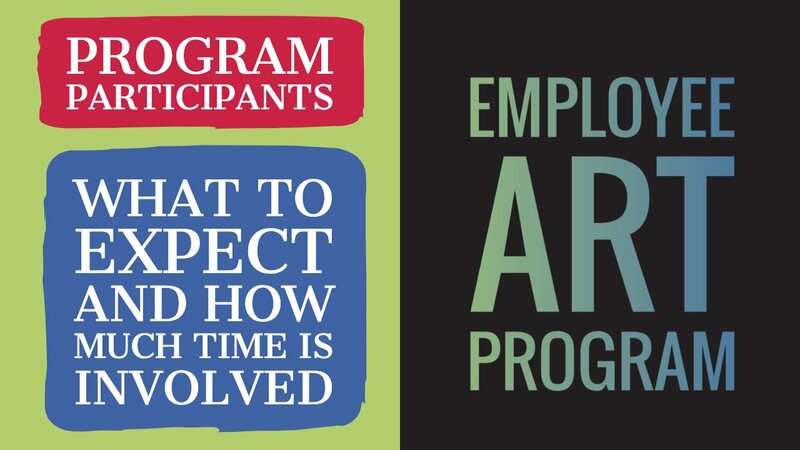 I would suggest starting with the Employee Art Program overview or download and review the Employee Art Program Initial Info if you have not already done so. I know there is a lot to read in there. I prefer transparency so I'll give you every bit of information you need to make a decision or to present the program to get it funded internally. If you're ready to talk next steps or just have a question; schedule a call with me below to discuss your goals for running a program. 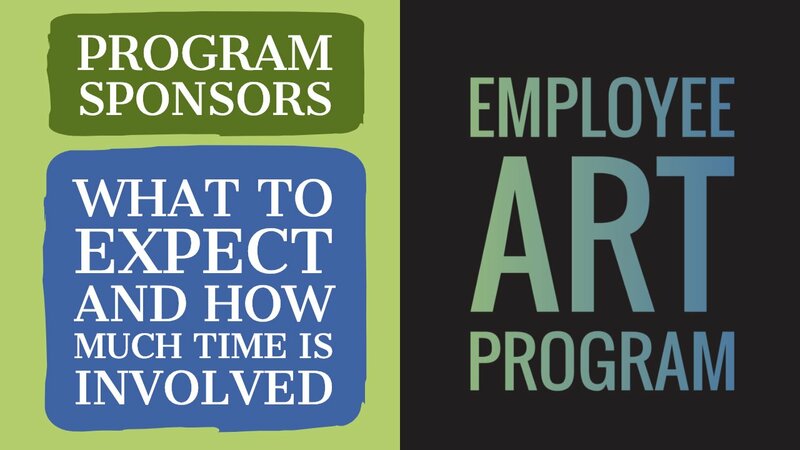 If you'd like to schedule a call for me to walk you or your senior staff through the program details, you can do that here.